CCT rules on request to acquit Saraki today – Royal Times of Nigeria. The Code of Conduct Tribunal (CCT) will today, Wednesday in Abuja rule on the no-case submission filed by Senate President Bukola Saraki, to challenge his ongoing trial on the amended 18 charges of false declaration and other related offences, Punch reports. The two-man panel of the CCT headed by Danladi Umar had reserved its ruling after hearing Saraki’s no-case submission and the Federal Government’s objection to it on June 8. It could recalled that the Senate President, through his no-case submission filed before the CCT on May 26, 2017, contended that none of the exhibits tendered and no evidence given by the four prosecution witnesses linked him to the alleged offences to warrant him to defend the charges. The Federal Government, through the prosecuting counsel, Rotimi Jacobs (SAN) objected to the no-case submission saying there was a “serious prima facie case” against the Senate President. 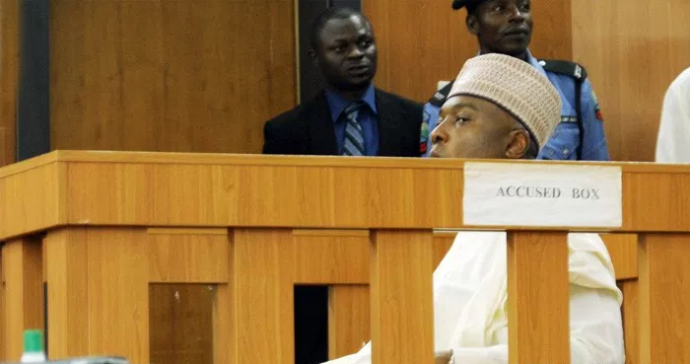 The lead counsel of the defendant, Kanu Agabi, had presented the written addresses before the CCT on Thursday, stating the petition which brought about the charges had nothing to do with Saraki especially counts 1, 2, 6, 9,10, 11, 12, 13, 14 and 16, had disclosed no valid offences.